Teachworks was created to meet the needs of most education businesses including Tutoring Companies, Music Schools, Online Tutoring Companies, Driving Schools, Test Preparation Centres and more. Many processes (such as invoicing, scheduling, payroll and payment processing) are generally similar for all types of education businesses and Teachworks offers a myriad of time-saving features that can help teaching businesses streamline these processes. 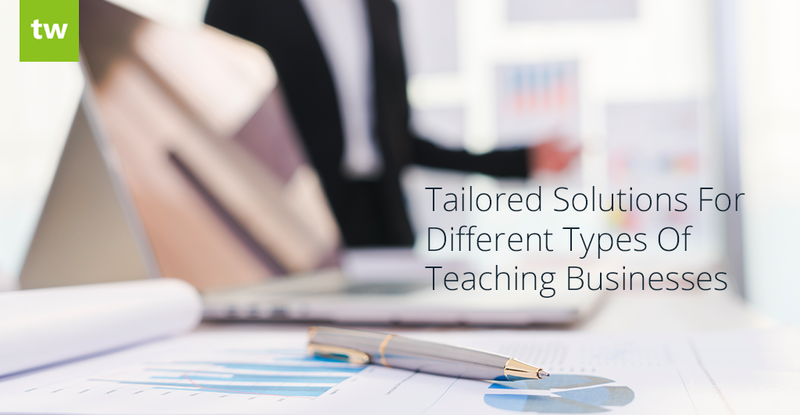 In addition to these time-savers, we’ve also developed features aimed at helping specific types of teaching businesses work more efficiently. Teachworks allows you to enable or disable these features as needed and this customizable design is one of the many features that sets us apart from our competitors. This simple add-on allows music schools and teachers to easily track the music their students are learning and performing. Once enabled, repertoires can quickly be added for specific students right from their profile or from the Repertoires Table. After you’ve created a new repertoire, you can start adding performances related to this piece. The add-on also allows you to grant students permission to manage their own repertoires, allowing you to save more time and ensure up-to-date records. The Vehicle Manager Add-On can help to improve scheduling accuracy and help driving schools stay more organized. The add-on allows you to create detailed vehicle profiles with key information about each of your vehicles and these vehicles can then be assigned to behind-the-wheel sessions. A “Vehicles” option under the “Account & Settings” tab. New vehicles can be added here and you can also edit or delete existing vehicles. 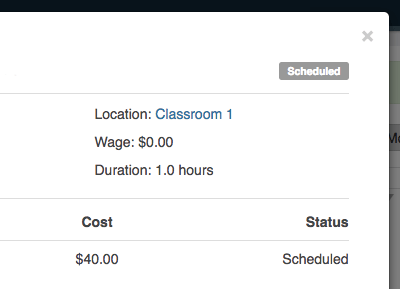 When scheduling lessons the form will include a “Vehicle” field, allowing you to assign a specific vehicle to a lesson. 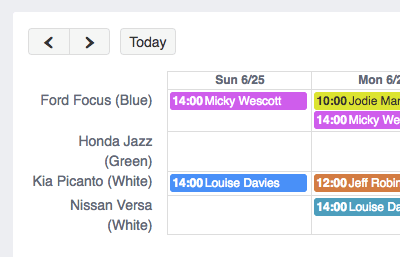 The built in conflict checker will include any vehicle conflicts when scheduling lessons. A dedicated Vehicle Calendar option will be added under the “Calendar” tab. This calendar will make it really simple to manage the schedule for each of your vehicles. Our User Time Zones Add-On is a great solution for online tutors that teach students in other time zones. Not only does the add-on help to simplify scheduling across time zones, it also helps to eliminate scheduling confusion. Once you’ve enabled this add-on, a time zone can be assigned to customer and teacher profiles. If your customers and teachers have user accounts, they’ll be able to easily login to view their upcoming lessons in their local time. There’s no need to manually calculate time differences as the add-on handles this for you. Lesson notes and lesson reminders will reflect each individual’s time zone to cut down on any possible confusion. Similarly, invoices with individual lessons added to them will reflect the time zone of the recipient. If you’re using an online whiteboard or meeting room during your online sessions, it’s definitely worth the effort to try out this add-on. The add-on allows you to hyperlink a location name with a link to a specific web address. The clickable link is visible in several places in Teachworks (such as lesson history pages and the main calendar) to make it really easy for teachers and students to quickly join an online whiteboard or meeting room before a session starts. The link is also included in the lesson reminder email. This add-on can also be useful for tutors that provide in-home sessions. A map link can be added to the field to make it easier for tutors to find their student’s address while on the go. Our Results Tracking Add-On allows teaching companies to track student results, such as test scores or grades, over time. Results are automatically graphed, making it possible to easily identify key problem areas at a glance and to see improvement trends over time. The add-on also allows you to capture and graph multiple test scores, which is great for SAT/ACT scores or any other tests with multiple sections. When using this feature, a bar graph is rendered automatically based on the date you’ve entered. Most teaching business management software alternatives take a one-size-fits-all approach to software design. While Teachworks follows the same approach to some extent, we also cater for the unique needs of different types of education businesses. We’re always expanding our list of features, so if there are any features that you think would greatly benefit you and others in your specific industry, let us know! « Student Groups Add-On And Other New Updates!